Throw this easy slow cooker chili together in the slow cooker and enjoy the praise. It's an excellent bowl of red to enjoy on a crisp autumn evening or snow day. Using canned beans makes it a quick prep, and the slow cooker makes cooking nearly hands-free. Turn the slow cooker on and carry on with your daily routine. This hearty chili contains three kinds of canned beans. 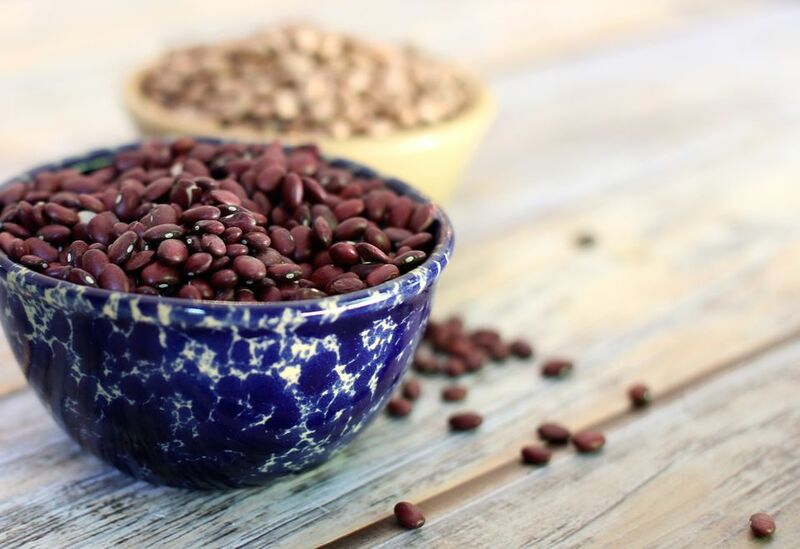 Use the lima beans, kidney beans, and Great Northern beans, or substitute pinto beans, black beans, or navy beans for one or two of the suggested varieties. The addition of ground beef, tomatoes, and chili seasonings makes it a hearty, flavorful chili. As with most chilis, the recipe is versatile, and it's easily adapted to your family's tastes. Ground turkey is an excellent alternative to the ground beef or use some ground sausage with the ground beef to add extra flavor. If you're always looking for ways to get the kids to eat their vegetables, consider adding about 1/2 cup of shredded carrots to the chili. Carrots add natural sweetness to the dish along with a bit of color. Don't skip the browning step for the ground beef. Ground beef takes on a rather unappetizing texture and color when it's added to the pot raw. So, unless you're making meatloaf, stuffed peppers, or a similar dish, always brown the beef first. Not only will the finished dish be more attractive; it will be lower in fat. This homemade chili is satisfying but mild in flavor. If you crave more heat in your chili, add 1/2 teaspoon or more of crushed red pepper flakes or add a minced jalapeno or serrano chile pepper. Drain all of the beans in a colander and run cold water over them to rinse. Heat the vegetable oil in a large skillet over medium heat. Crumble the ground beef into the skillet and cook until it is no longer pink, stirring frequently. Drain the beef and transfer it to the slow cooker. Chop the onion mince the garlic; add them to beef in the slow cooker. Add the drained beans, tomatoes, tomato sauce, ketchup or chili sauce, oregano, chili powder, salt, and pepper. Cover the pot and cook on low for about five to seven hours or until the vegetables are tender. For a well-balanced meal, serve the chili with homemade cornbread and a salad or fresh sliced vegetables.